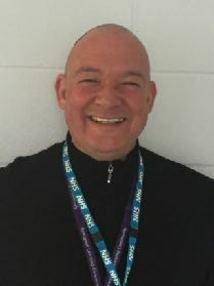 Following 15 years of experience working within Mental Health, encountering specialisms ranging from Adults Forensic to Children’s Services, I decided to leave public services as a Registered Mental Health Nurse and focus on being an Eclectic Psychotherapist. This was to pursue my dream of starting a private practice, and thus Therapy Consultation was born. Mental Health difficulties are not limited to any specific group, and as such his passion is to reach all those affected from early childhood, to adolescence and through to senior citizens. Equally, my skills are not limited and as such I am able to help with any condition presenting itself. Therapy Consultation consists of highly passionate working styles, with a distinct edge; I have a greater depth of understanding due to my own individual experiences of mental health in my early life. Personal experience followed by successful and rewarding recovery, is supported by academic acumen enabling the efficiently adapted styles and approaches to any given circumstance. Through personal experience, through Education and through Mental Health practice as a Clinical Nurse Therapist we have developed over 33 years experience within the field. This is what sets us apart from other providers.